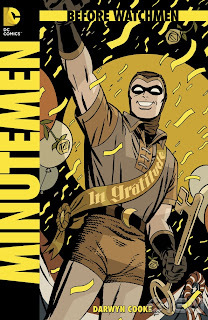 Probably one of the most anticipated comics of the year, and certainly the most controversial, the first issue of Before Watchmen: Minutemen #1 was finally released Wednesday in a blaze of sepia toned glory. 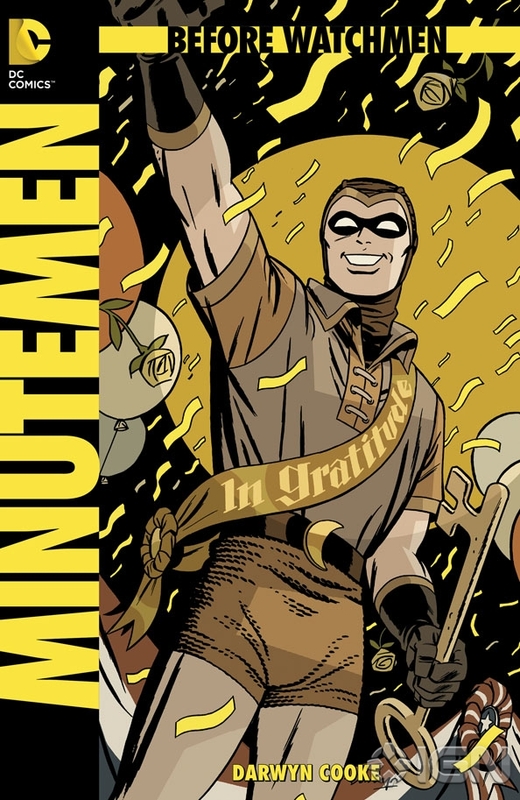 Dealt with the impossibly ambitious task of penning the beginning of the Minutemen prequel with the legendary Alan Moore & Dave Gibbons series Watchmen looming over him, Darwyn Cooke does a fine job of introducing the diverse roster of the original Minutemen vigilantes from a perspective of nostalgic hopefulness which is unique from the subsequent Watchmen generation’s pessimistic sentiment. 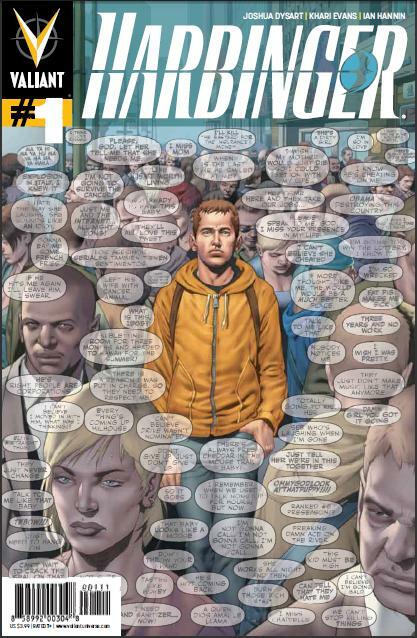 The prequels are presented as excerpts from Hollis’ (Nite Owl) memoir “Under the Hood” which documents the history of the original Minutemen. However, even though he knows how the story ends, Hollis looks back on his time as a crime fighter fondly, “From here, in my empty apartment, I can only see the good.” It is an interesting sight to see the octuplet gang of ragtag superheroes as they were in their separate lives before they assembled any sort of organized team. I think the fans will find it delightful to follow the hopelessly flawed, inevitably doomed, yet slightly idealistic, and well intentioned group of folks that will in time come to call themselves the Minutemen.